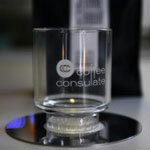 There’s one particular element that all coffee comes in contact with when brewing coffee, the filter. These filters have a huge impact on the taste of the coffee as they either add certain tastes to the coffee or remove elements from it. For instance, most metal filters will add a slightly metallic note. Another common filter material is paper. Paper adds a noticeable paper taste, which is why they should always be pre-rinsed with (hot) water before being used. Paper also traps some of the oils released during the brewing process. For these reasons alone it makes sense to think about a methods that don’t involve filters at all. One way of not using a filter is to leave the grounds in the coffee. Turkish Coffee for instance brews coffee and water together, after which it is served directly into a cup. A similar thing happens during cup tasting, hot water is poured over coffee grounds which is then steeped. The downside to these methods is that at the bottom of every cup is a good amount of ground coffee. 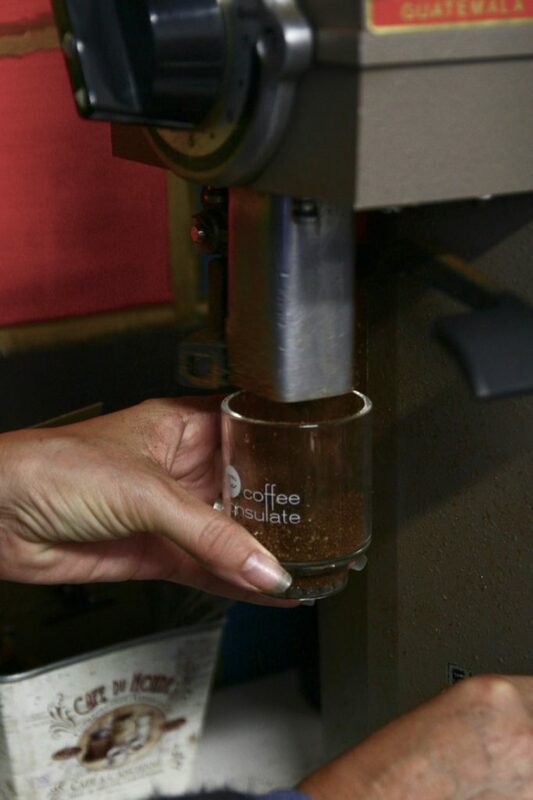 The RS-16 is a single serve glass cup, with small openings in the bottom. Glass, unlike metal, cloth and paper is inert and non-porous, it doesn’t react with other elements or trap certain elements. Compared to a cloth or even a metal filter, the openings in the bottom of the RS-16 are huge, which calls for rather coarse ground coffee. The coffee we used was ground to a coarseness similar to what you’d need for a French Press. 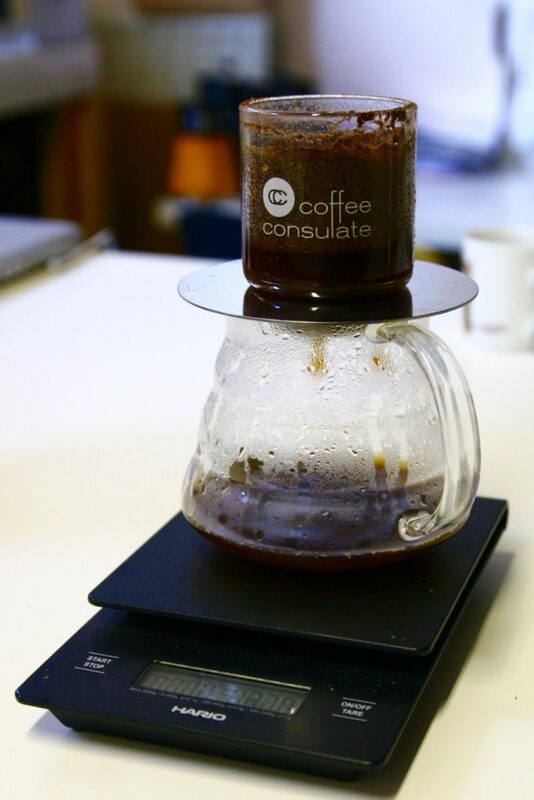 The coffee that you brew with the RS-16 is one of the most pure extractions you can create. Everything that dissolves out of the bean and into the water, ends up in your cup. Unlike brewing systems that use traditional filter media, you can’t really experiment with the coarseness of the grind to influence the taste of the coffee. You can however add more or less coffee and / or water, or play with the water temperature. If the coffee tastes too watery, add more coffee or less water. If the extract is too strong, use less coffee or more water. Grounds falling through the RS-16 and / or sediment in your cup means you are grinding the coffee too fine. The RS-16 makes it possible to brew without altering the taste and quality of the coffee itself. It’s rather easy to clean as well, just water and soap will do it. Did I mention you don’t need a filter either? That means that it’s truly a one-time investment, you don’t have to keep buying paper filters. That one time investment is my only grievance, as it is rather pricey at €89.90 (~ $100 or ~£66) and doesn’t include the €4.80 cup holder. I’d also love to see a taller version that could brew 2 cups worth of coffee.